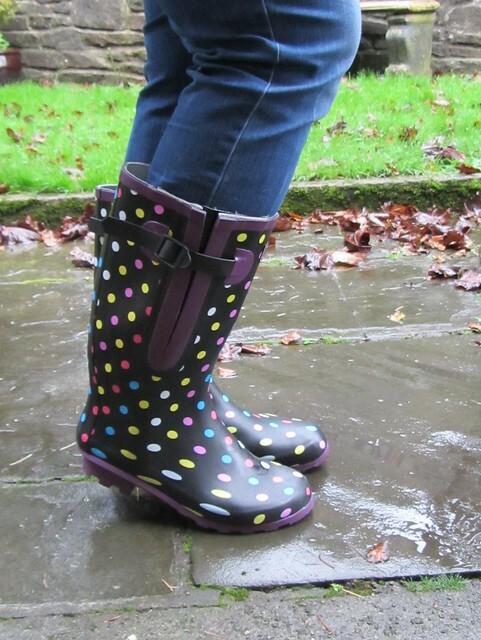 The people at Jileon wellies contacted me way back in Spring to see if I would give them some advice about what colours and patterns to develop some wide fit wellies in. I thought traditional/country colours like navy would be best and maybe some polka dots. 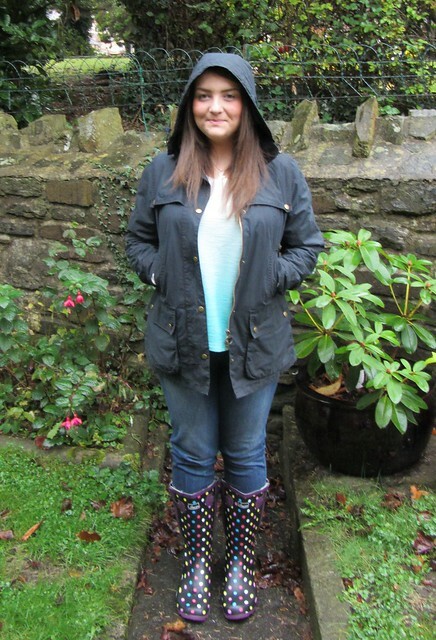 Floral wellies are always tricky because they will clash with other patterns you wear. Once they had been tested and developed Jileon kindly sent me a pair of their new wellies to try out and I have to say I'm impressed. I love the design, you can't go wrong with polka dots and the purple sole and trim are great. You can also get this fit in navy blue. The double gusseted design will easily accommodate calf circumferences of up to 50cm and these are much wider than any wellies I have seen on the high street. I already own wide fit wellies and I can only wear thin socks and tights with them but with these I can tuck in my jeans and still have plenty of room. I think I would only really need wide fit because I don't need to expand the sides out and there is plenty of room but I'm going to wear these when I walk the dog this winter with some nice thick socks. You can make the boots much wider by using the buckles because there are concealed panels on both sides. Not only are the boots wide on the leg they also have plenty of room in the foot and around the ankles so no squeezing involved. Do you struggle to find boots that fit? these are well cute!! my calves are huge so struggle to find boots! Hi! I was looking for a "big wellies" and I found you in the best moment. 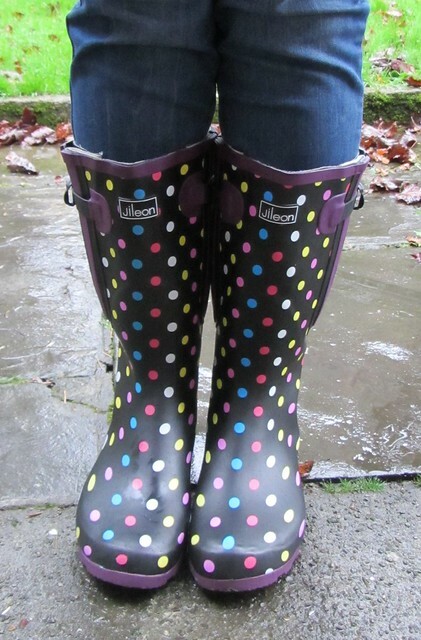 I love this wellies and I´m going to buy it. Thank you! they are so lovely and wide which means I can wear socks with them, finally! Love these wellies, I have some floral ones- they are a Royal Horticultural society collaboration with Hunter and I got them for £17 a few years ago... bargain! Wow loved this post!!! I have HUGE problems finding boots that fit my calves!!! Loved this, going to check the site right now!!! Hi, I am nearly going to buy these from Jileon, but I wondered how you get on with walking when there is a buckle on the inside too. Do they scrape off each other? Gorgeous! I am dreaming of adding a pair of Wide calf boot to my shoe collection.